I've owned this book for two years now and I regret waiting until just now to finally read it. While it's unlikely that the moon might move closer to earth like it did in this book, the repercussions of it are actual possibilities. It was nice seeing what the end of times might be like from a teenagers point of view. When these scenarios are played out in movies or tv shows, the kids opinion is rarely taken into account, nor does it matter, but in this book you get a taste of exactly how they might feel when the world as they knew it is suddenly something completely different. This book was both disturbing and wonderful at the same time. At it's end, I found myself appreciating things I take for granted myself. I really look forward to reading the rest of this series and I hope that in the end, there's a sign of better times. 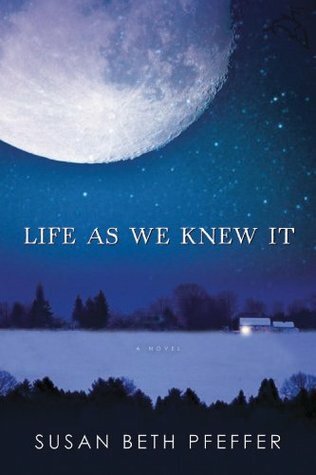 Sign into Goodreads to see if any of your friends have read Life As We Knew It.